Chanel: This looks like it's made out of bronze. Camilla: . . . .
Chanel: You know what bronze is, right? Camilla: Yep, it's third place in medals. 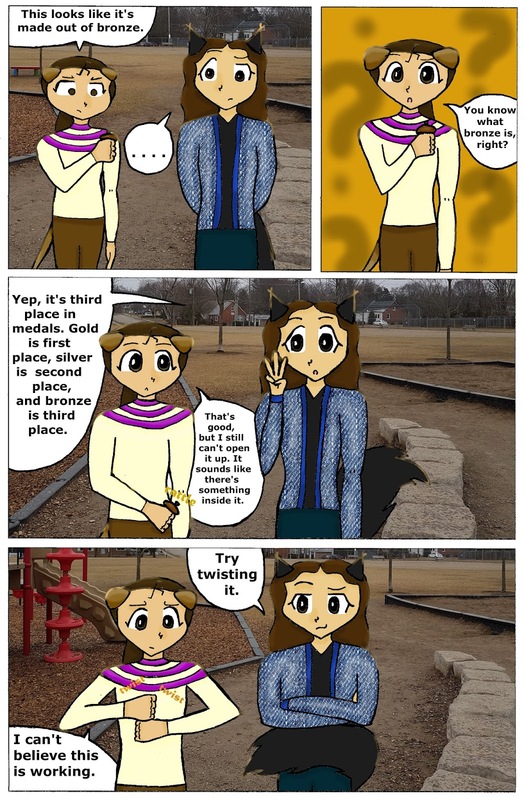 Gold is first place, silver is second place, and bronze is third place. Chanel: That's good, but I still can't open it up. It sounds like there's something inside it. Chanel: I can't believe this is working.